Come rain, sleet or snow! Layer up and let's dance outside under a covered awning in Esco. 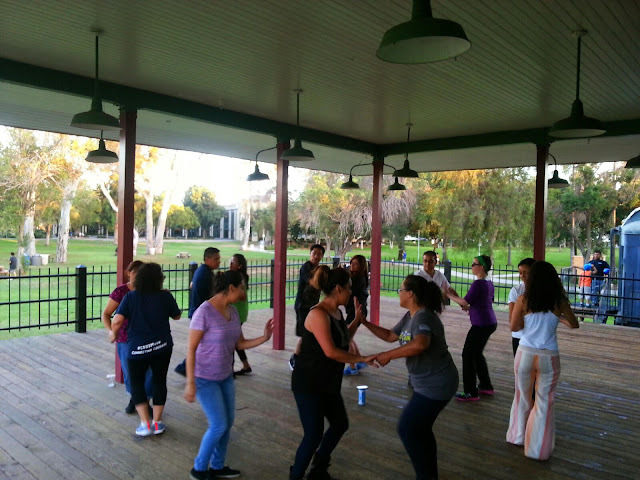 Don't let the weather stop you from an opportunity to practice your rueda basics. We are finishing up with a full month of Beginner level 1 training. Next week, we start up again with Level 2 - turn patterns. So let's make sure your basics are solid so you can keep adding to your basics.